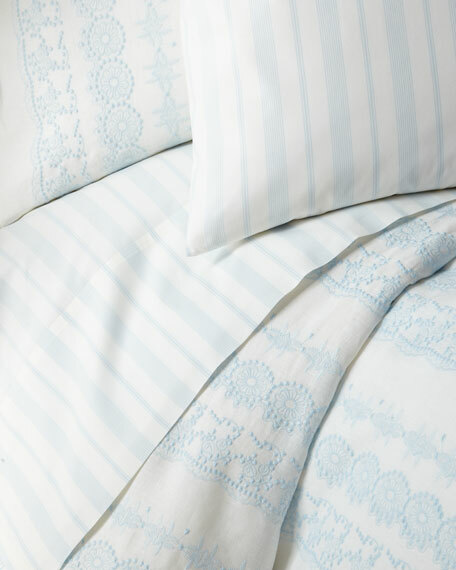 The Rachel Ashwell Westminster Fitted Sheet is made of lightweight, breathable 100% cotton poplin for refreshing repose. The layer, featuring a lovely classic yarn dyed stripe design inspired by vintage ticking fabrics, creates a charming foundation, fitting mattresses up to 18" deep. All around elastic allows for easy bed making, spreading with neat sophistication.